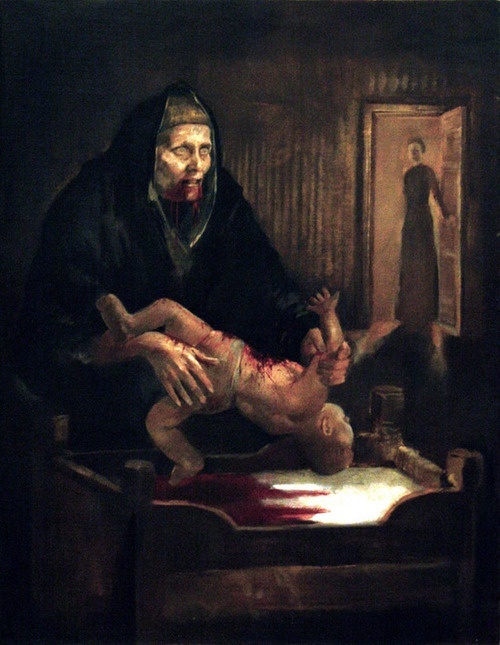 One of Iceland’s most renowned figures associated with Christmas made her first appearance in ancient Pagan times. An especially terrifying figure, Gryla is a giant troll with hooves for feet and sports an impressive thirteen tails. This lady-troll is in a perpetual bad mood due to her insatiable hunger…for children. Each Christmas, Gryla comes down from her mountain dwelling to hunt for bad children. She places them in a sack and drags them back to her cave where she boils them alive for her favorite stew. The thirteen sons of Gryla are each known for a particular habit or characteristic, much like the Disney version of Snow White’s seven dwarves. Most of them are depicted as mischievous pranksters and petty criminals. Icelandic children are visited each night on the thirteen days leading up to Christmas. Sheep Cote Clog – A peg legged sheep fancier. His “fancy-ing” is impaired by his peg legs. Gully Gawk – hides out in ditches or gullies and waits for an opportune moment to run into the cow shed and lick the foam off the milk in the milking buckets. Stubby – His name denotes his stature as he is unusually short. If your pie pan is missing, you can bet Stubby has stolen it to eat whatever pie crust was left behind. Spoon Licker – Licker and thief of spoons. Pot Scraper – Petty thief of leftovers. Bowl Licker – This one hides under your bed and waits for you to absentmindedly put down your bowl so he can steal and yes, lick it. Door Slammer – Oh, did you just fall asleep? Not for long! This guy plans on slamming doors all night. Skyr Gobbler – There will be no skyr, a type of yogurt, left in your house on the night the Skyr Gobbler visits. Sausage Swiper – He’s going to steal your sausage. I hope its well hidden. Window Peeper – He’s watching you right now. Doorway Sniffer – Uses his incredibly large nose to sniff through doors as a leaf bread, (a traditional Icelandic Christmas bread), locator. Meat Hook – This fellow always brings a hook along with him so he can steal meat. 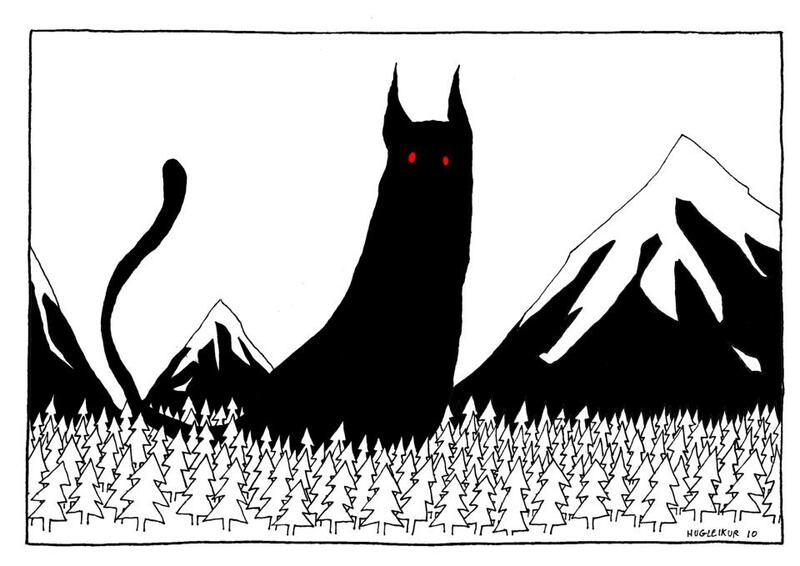 The Yule Cat – The pet of both Gryla and The Yule Lads, The Yule Cat’s prey consists of both children and adults. Unlike the others, this cat does not care about your misdeeds during the year. The only insurance against being torn apart and eaten by this giant feline, is receiving an article of new clothing for Christmas. Shop wisely.